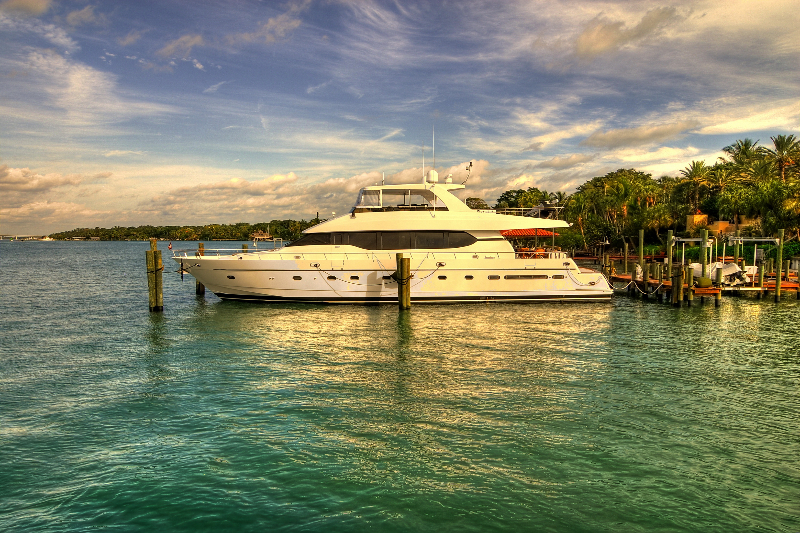 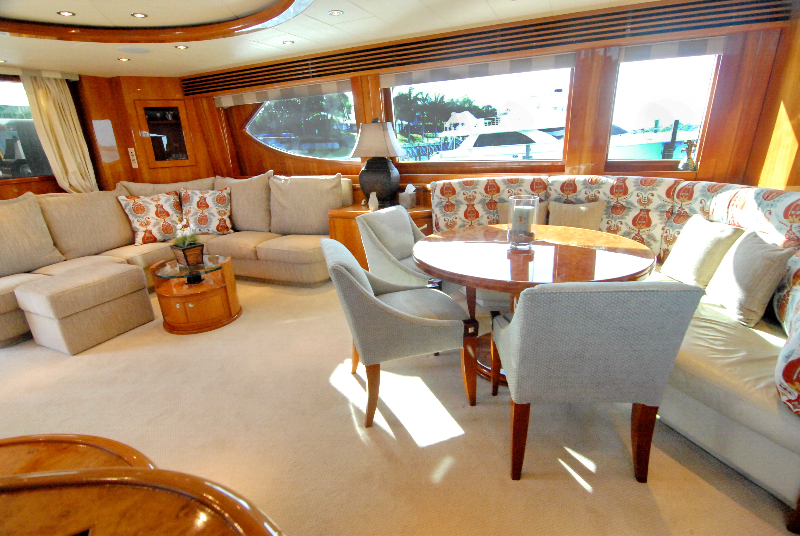 Motor yacht ACQUAVIVA was built by Monte Fino in 2001 and underwent a refit in 2011. 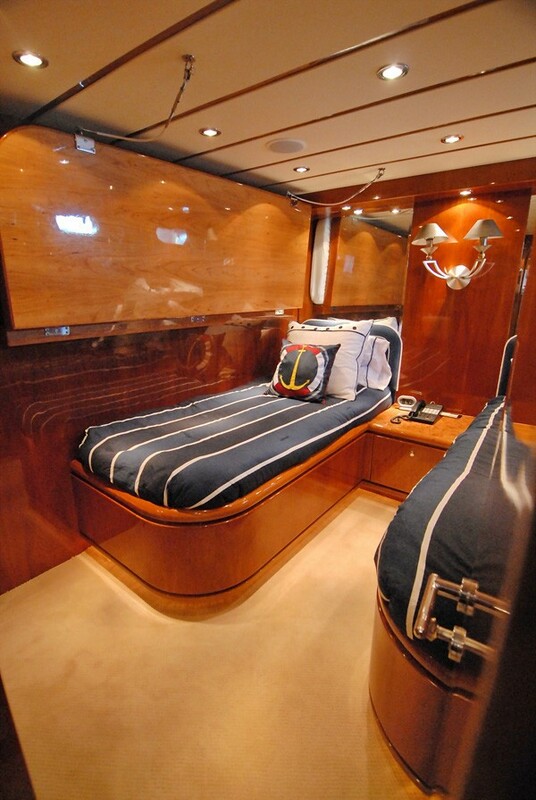 The yacht ACQUAVIVA measures 25m (82ft) and can accommodate up to 7 charter guests in 3 en-suite cabins. 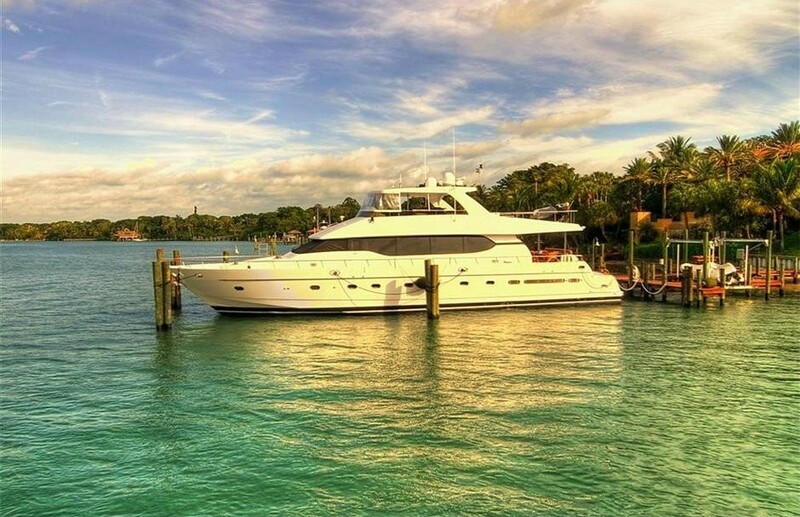 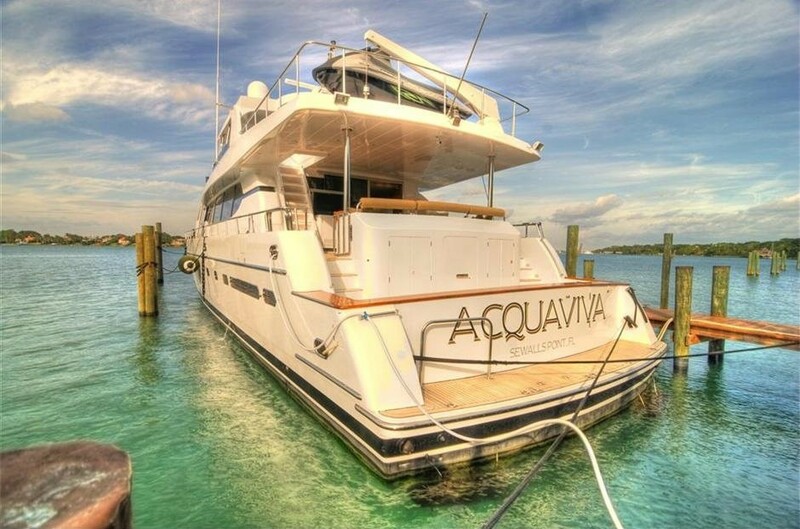 M/Y ACQUAVIVA is available for charter in Florida and the Bahamas year round, she is the ideal yacht for families and friends alike. 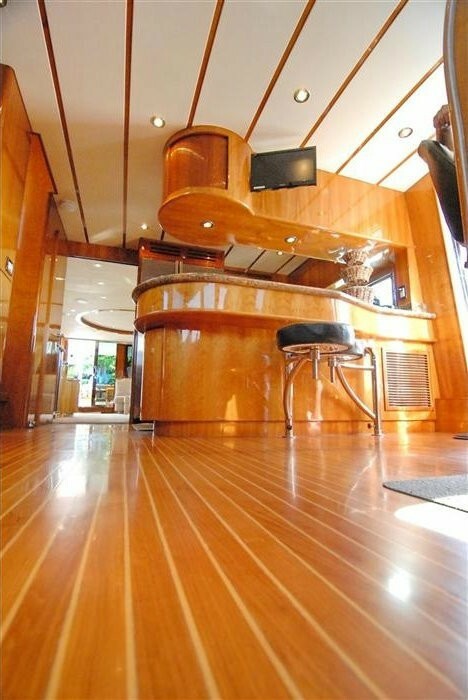 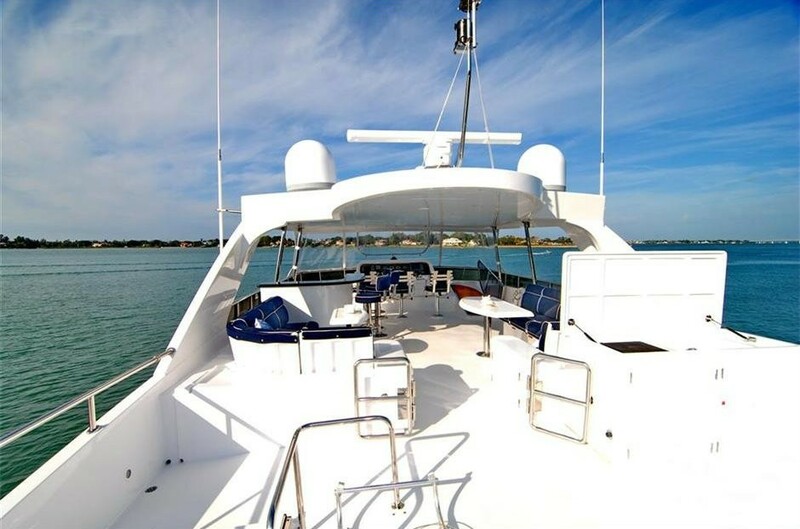 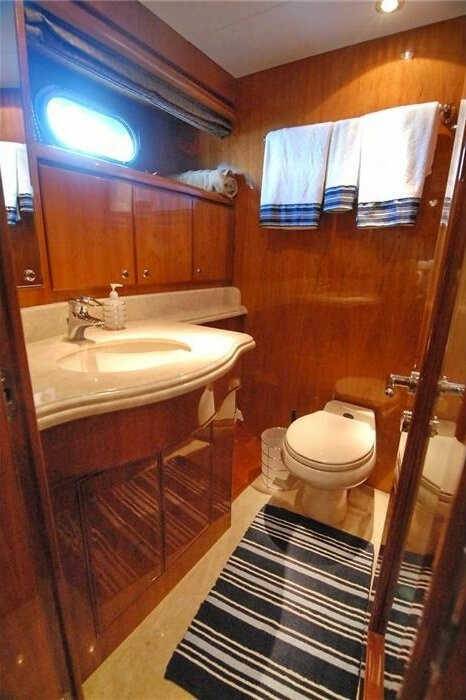 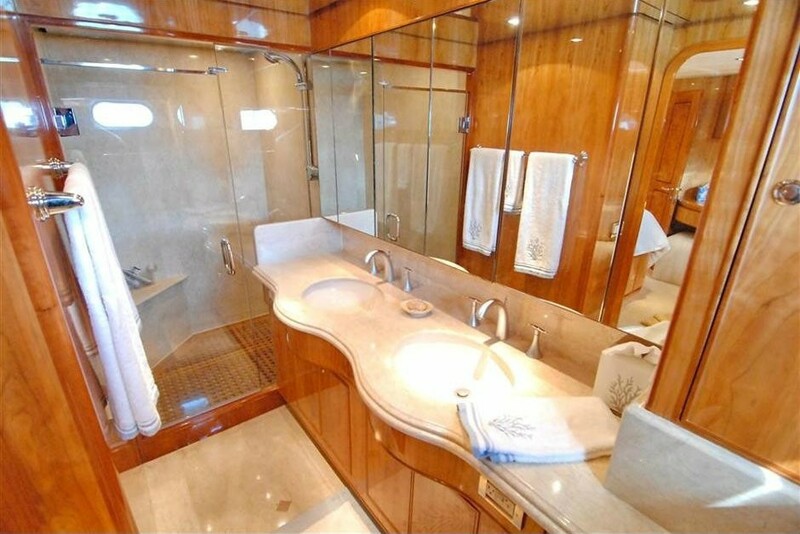 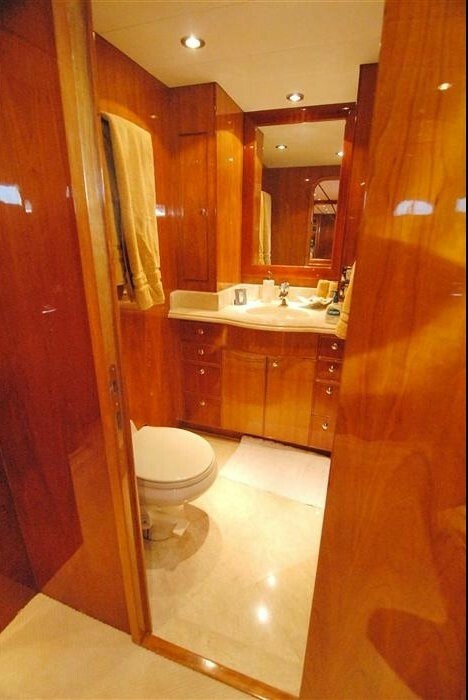 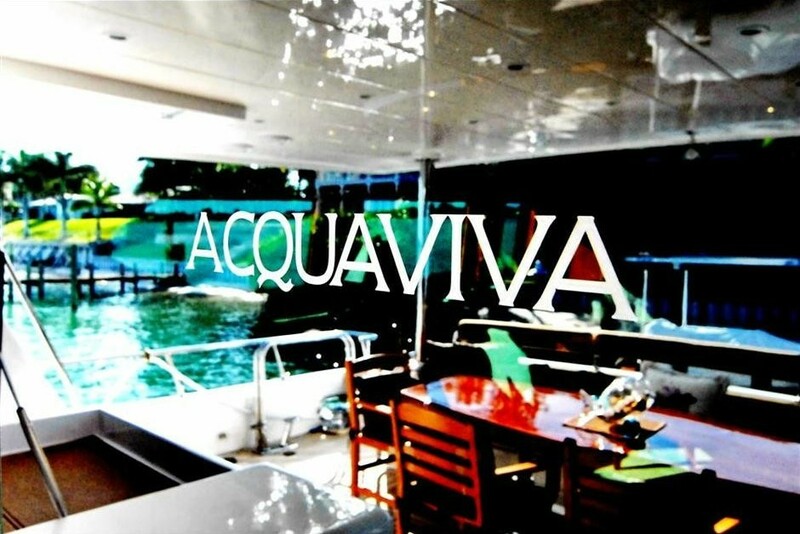 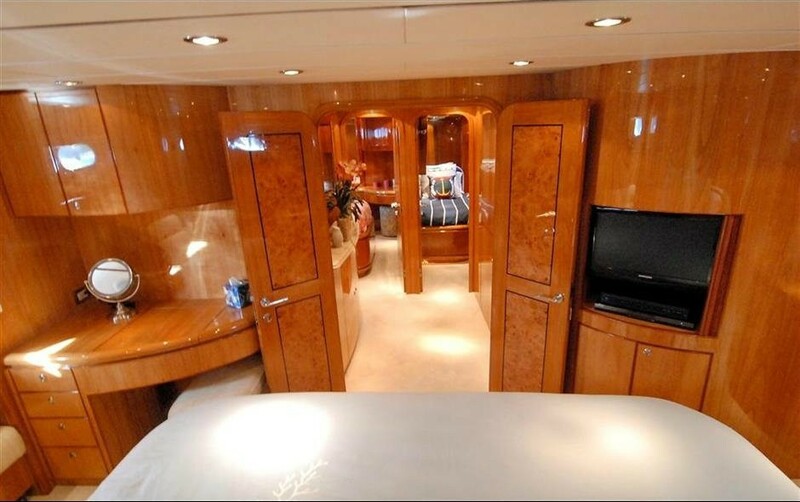 Motor yacht ACQUAVIVA has a contemporary neutral interior, panoramic windows provide ample natural light. 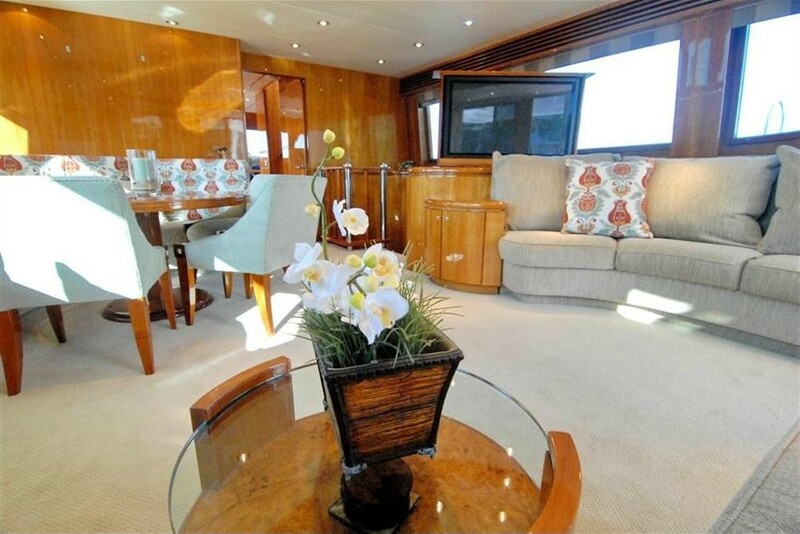 The salon is inviting and stylish featuring subtle cream carpets, muted soft furnishings and honey toned high gloss wood panels. 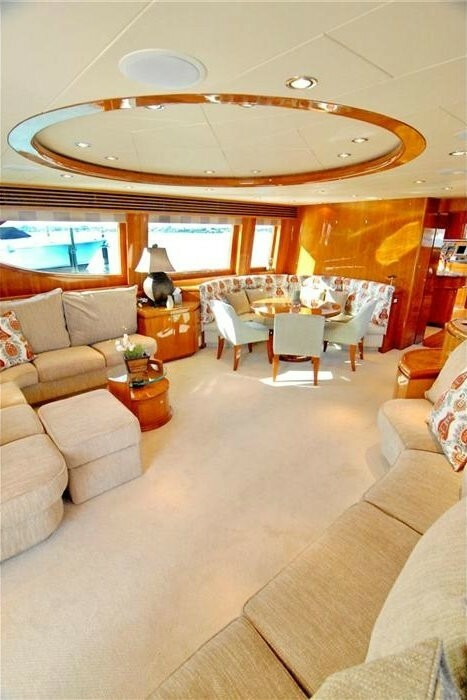 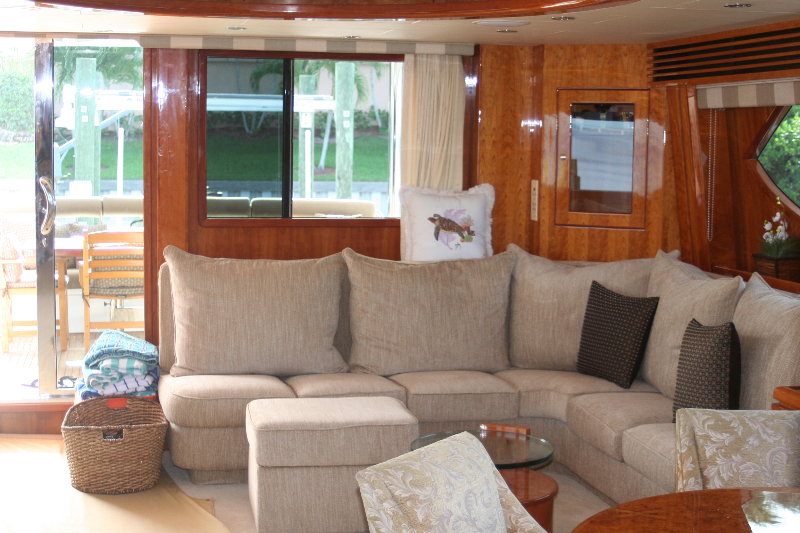 The lounge space is aft, with 2 generous sofas on port and starboard. 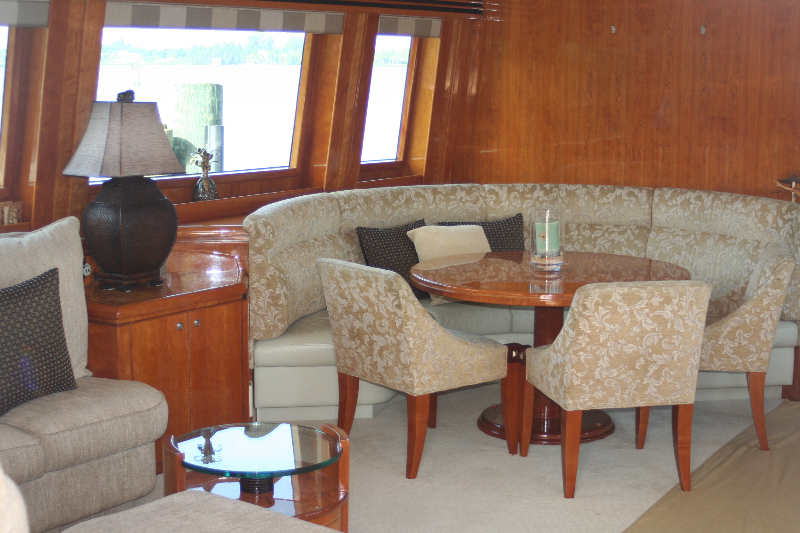 Forward of the lounge, the formal dining areas seats all 7 guests comfortably. 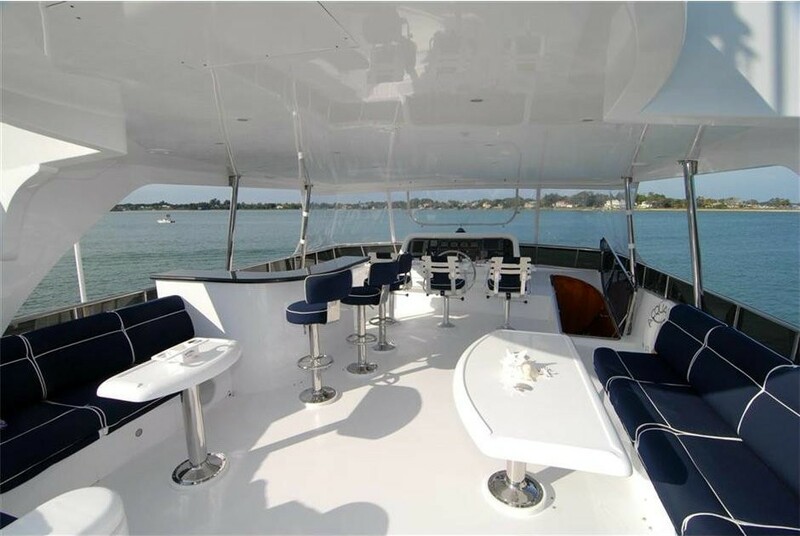 Starboard and forward is a full audio and visual center, with large flat screen TV ensuring optimum entertainment. 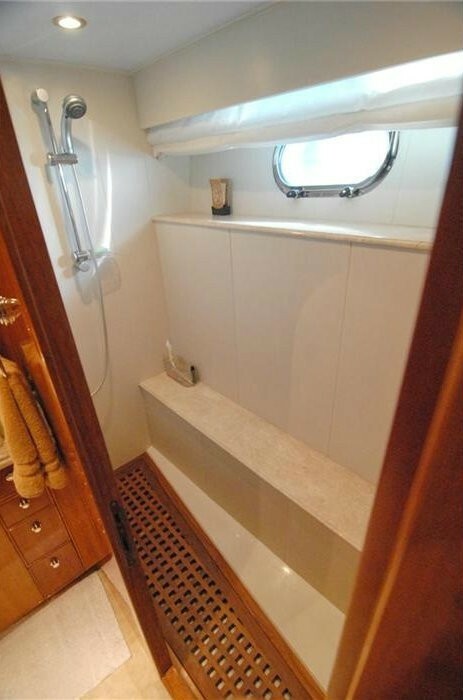 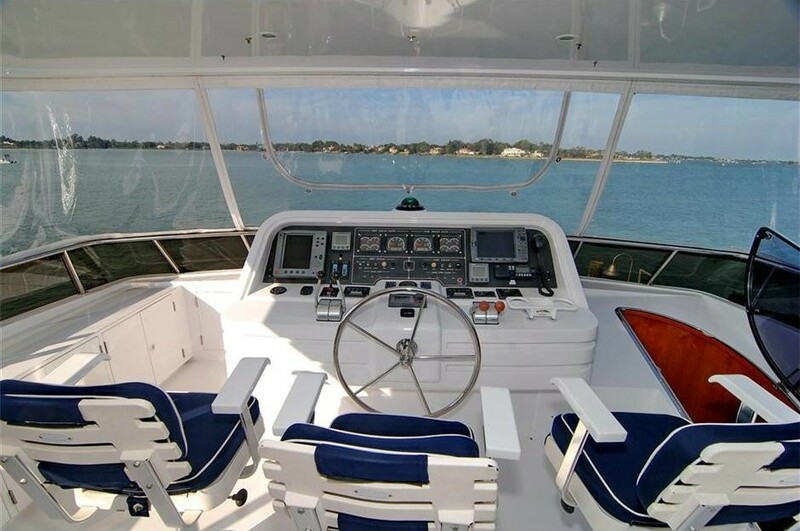 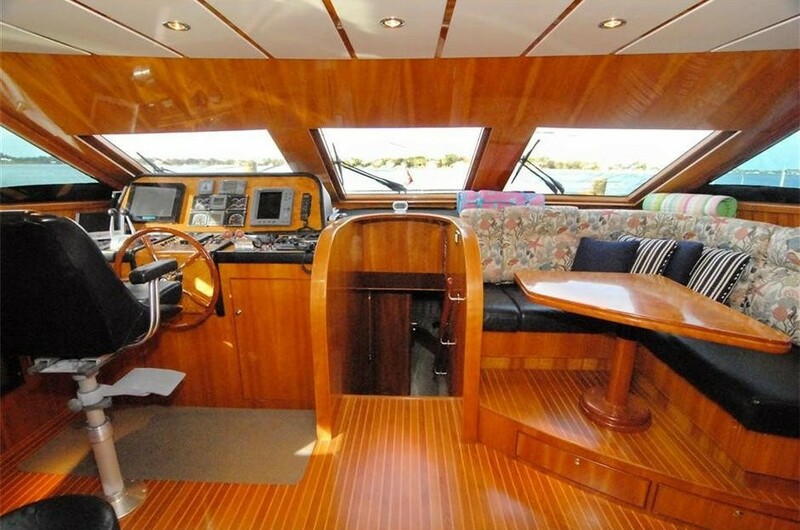 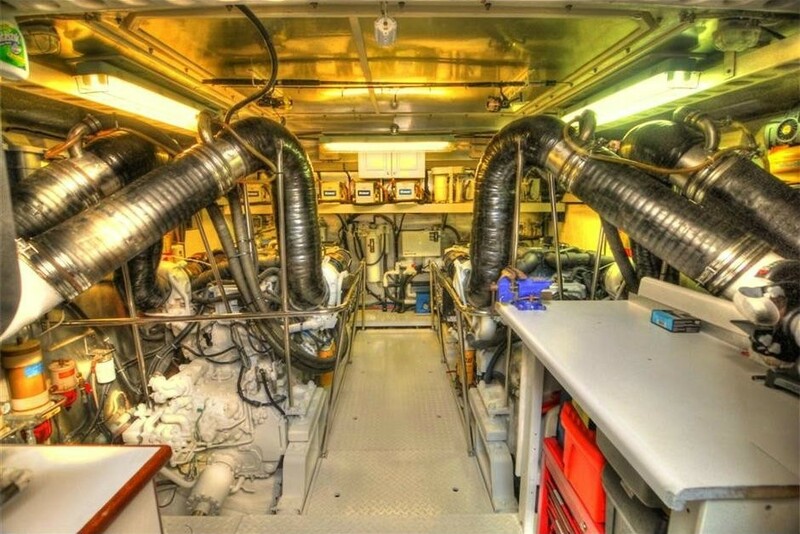 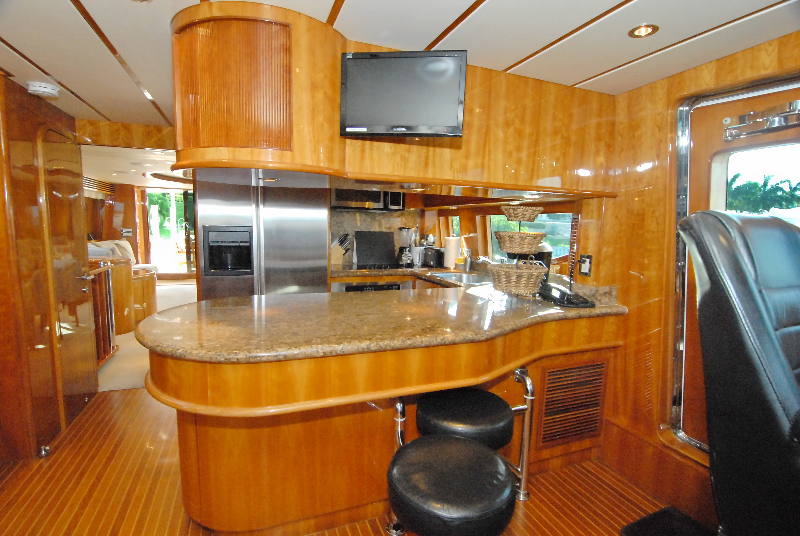 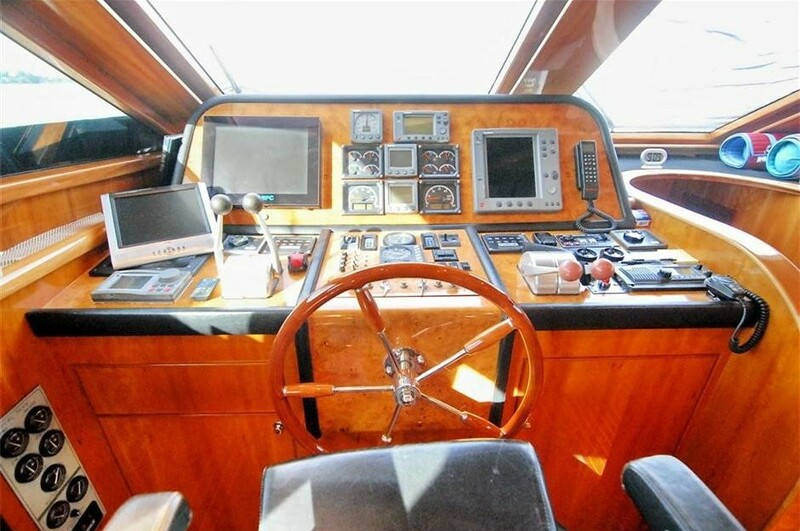 Further forward on the main deck, a day head is to starboard, the galley to port, followed by the pilot house, casual dining area and breakfast bar. 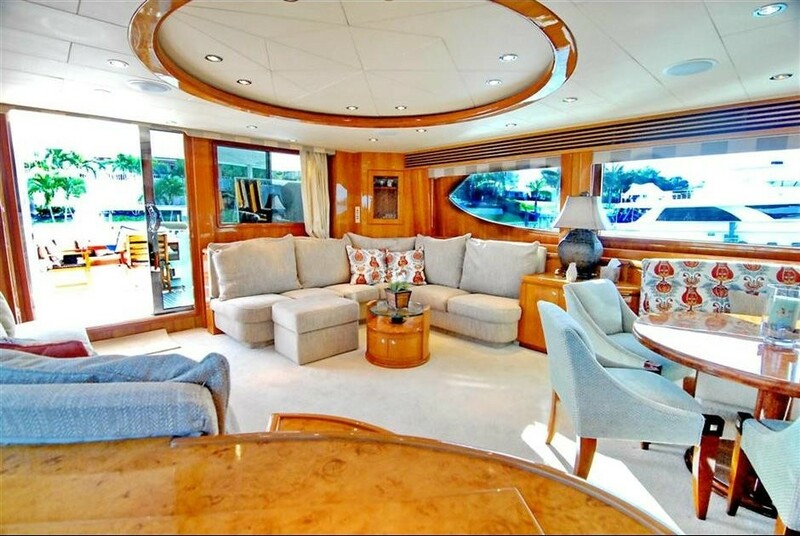 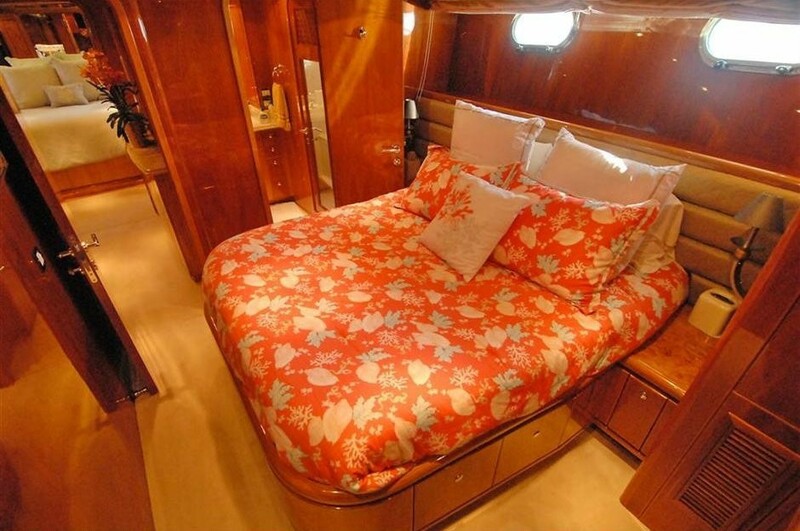 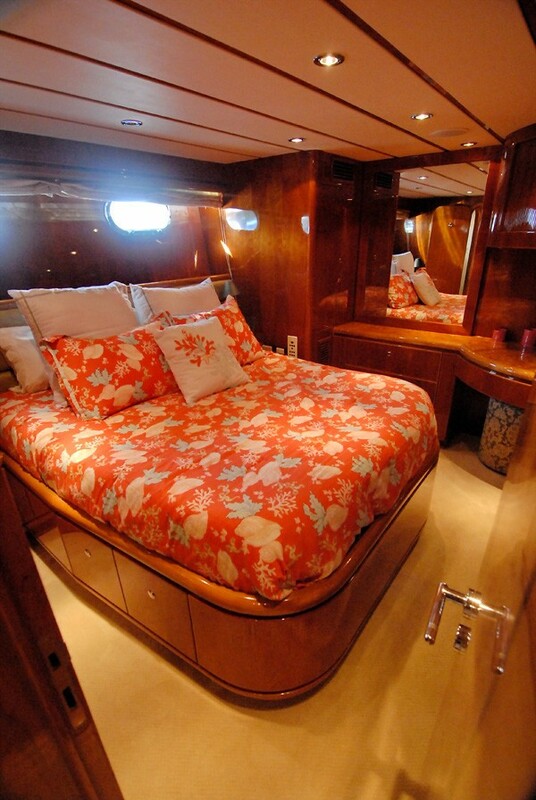 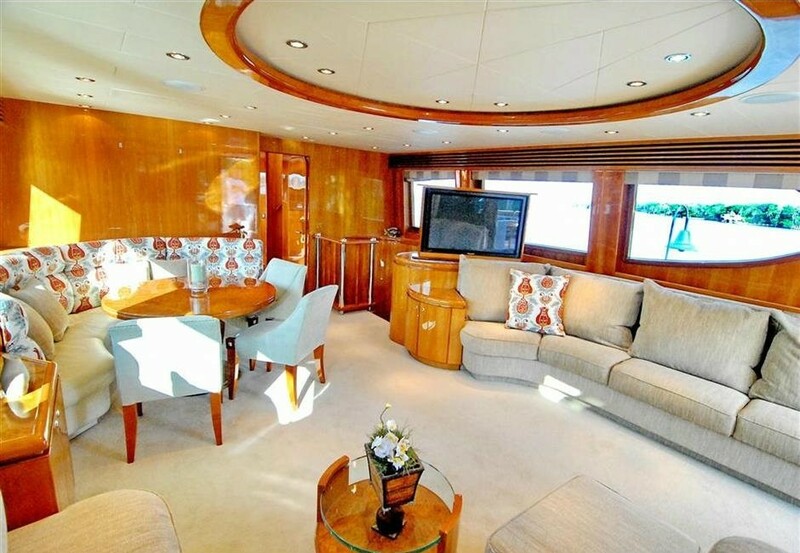 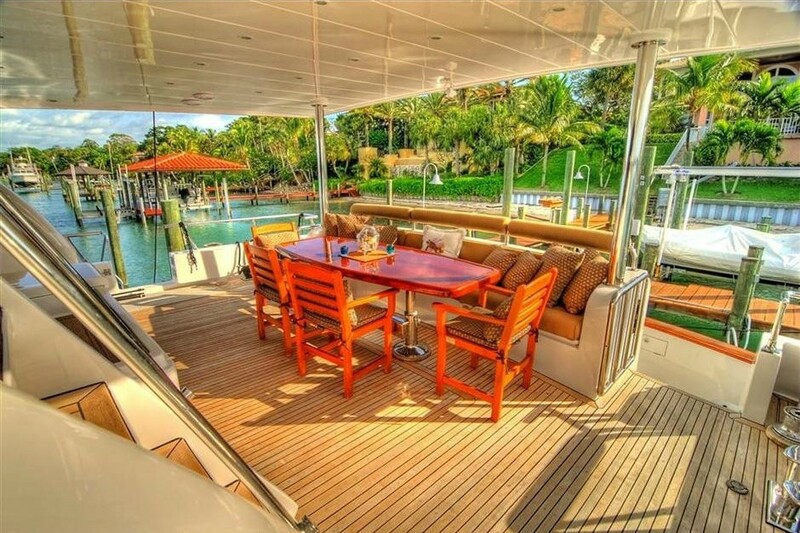 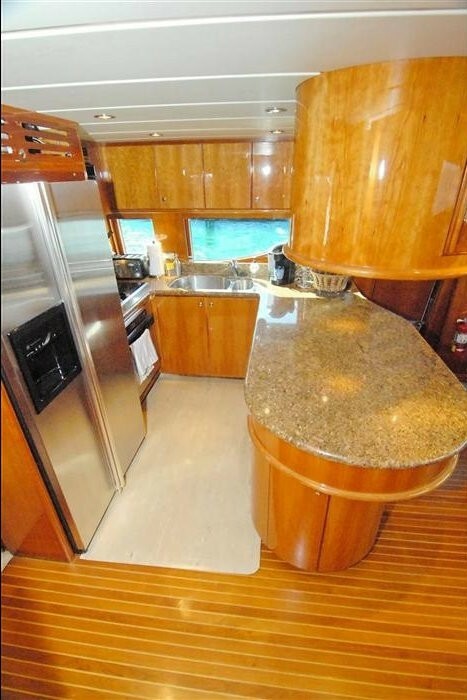 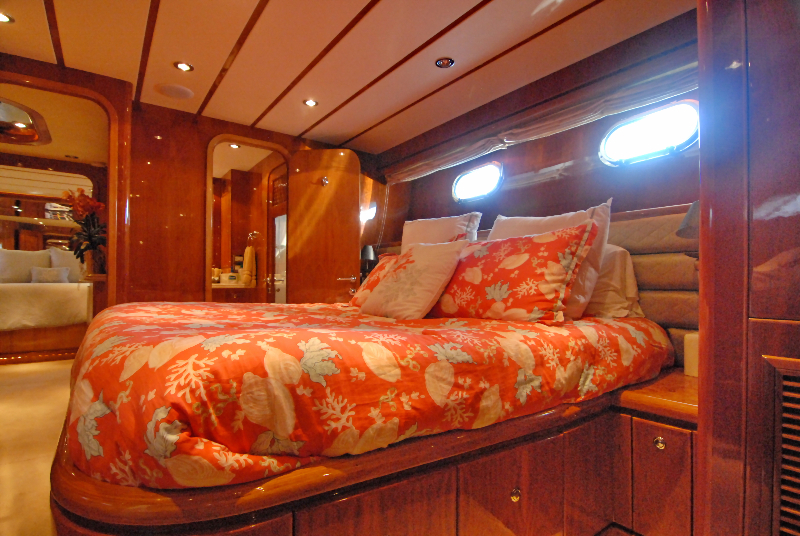 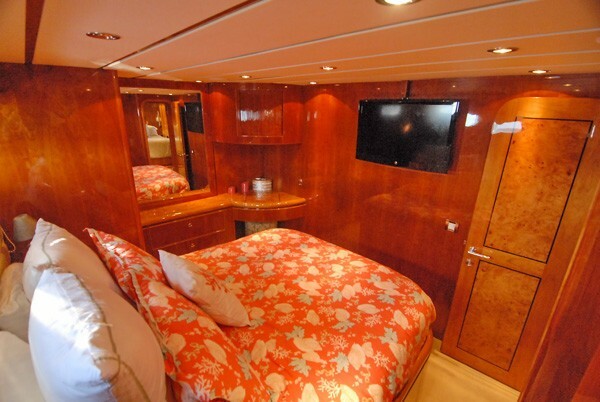 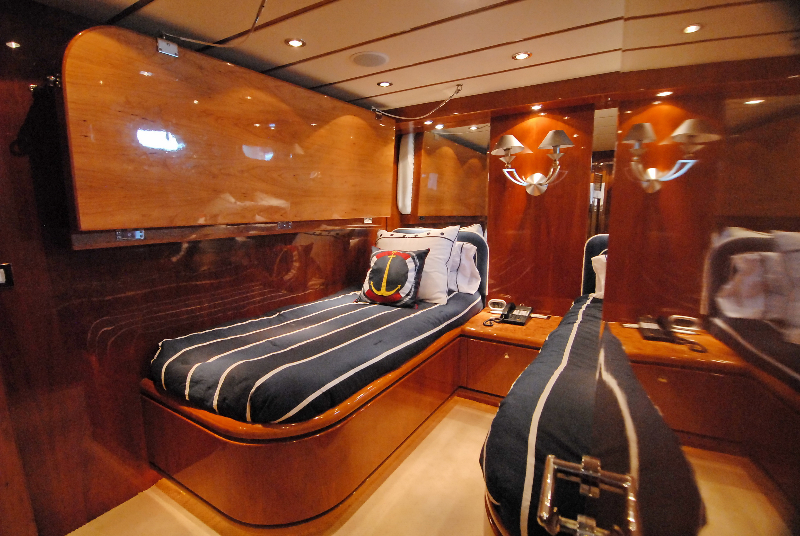 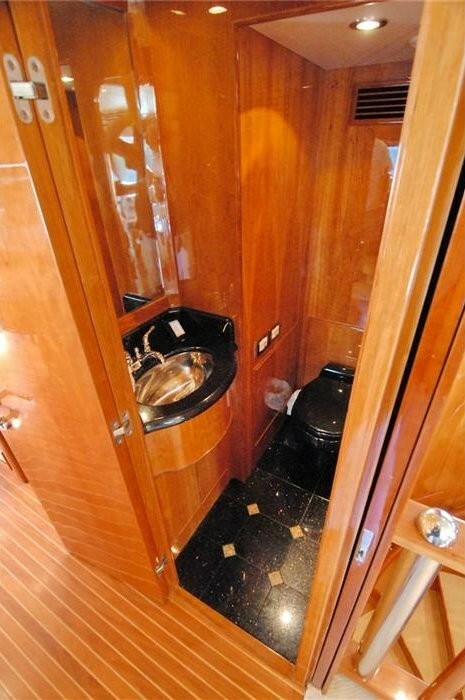 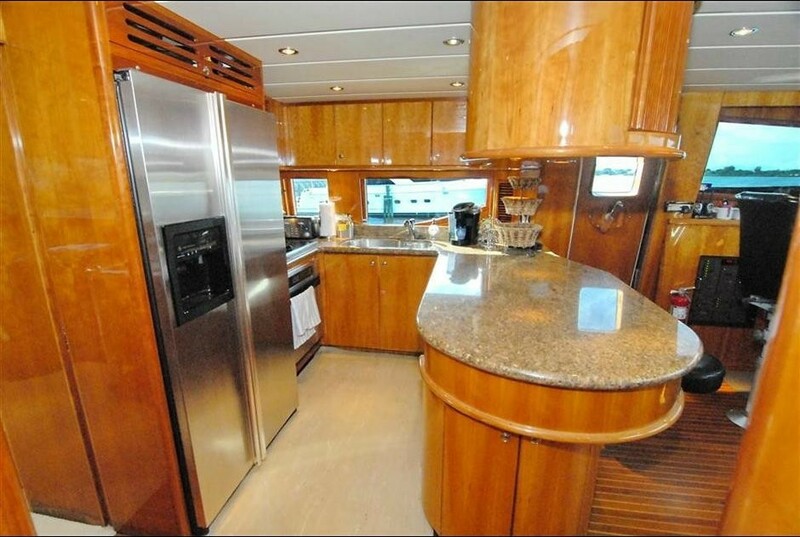 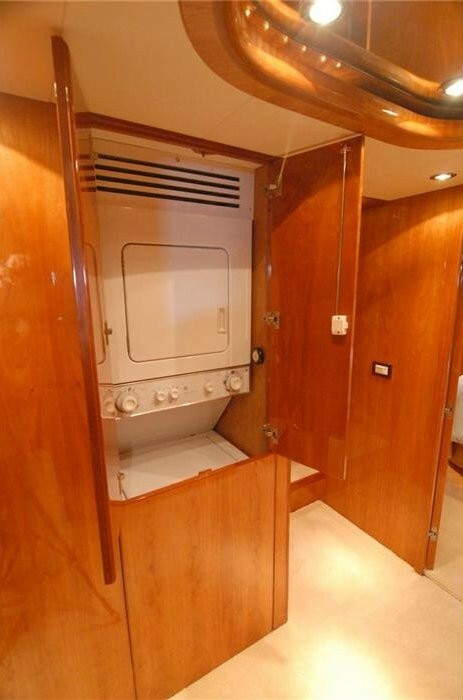 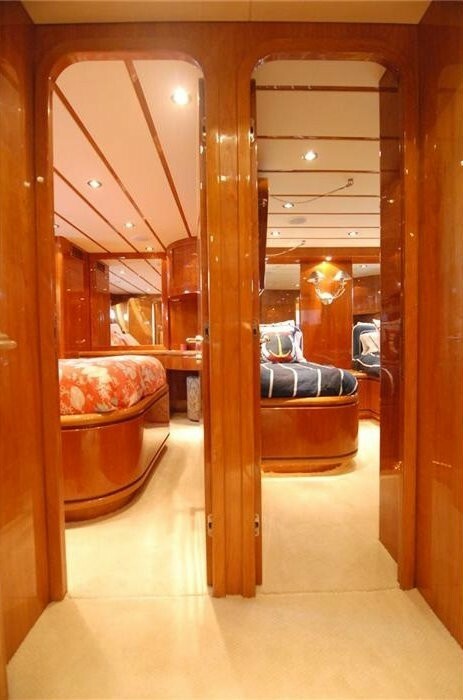 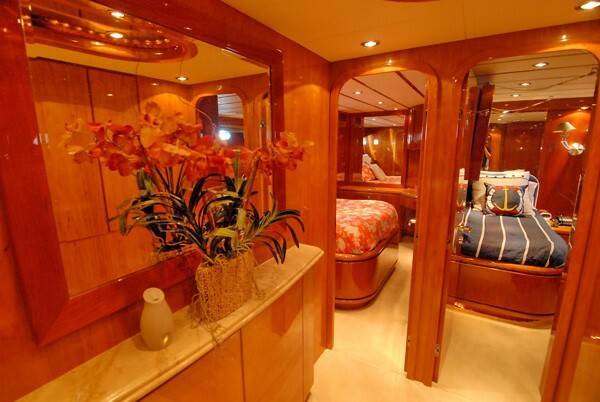 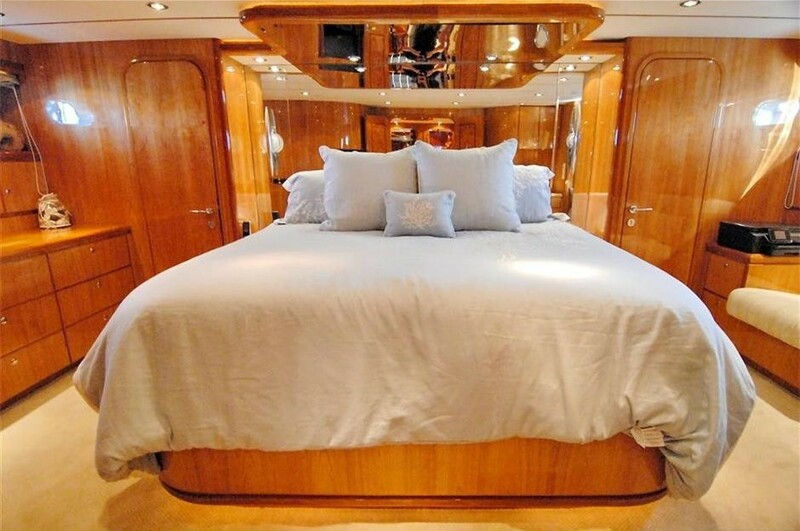 Exterior living aboard the ACQUAVIVA motor yacht is ample. 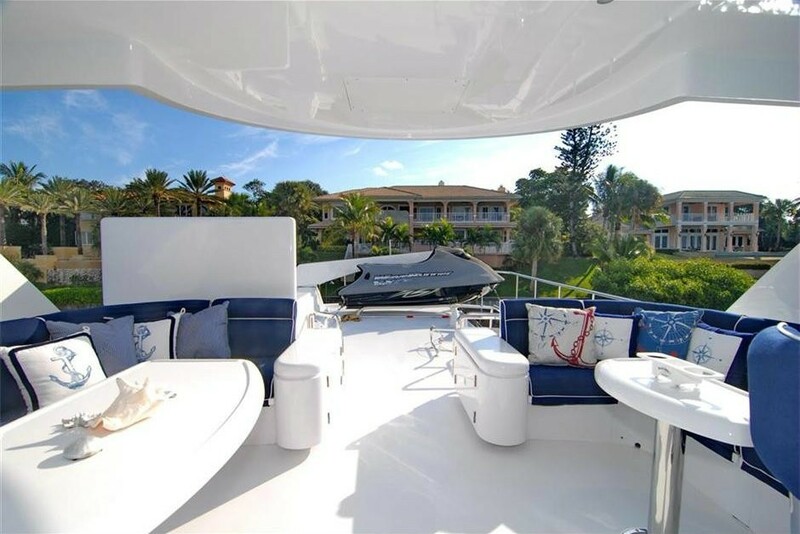 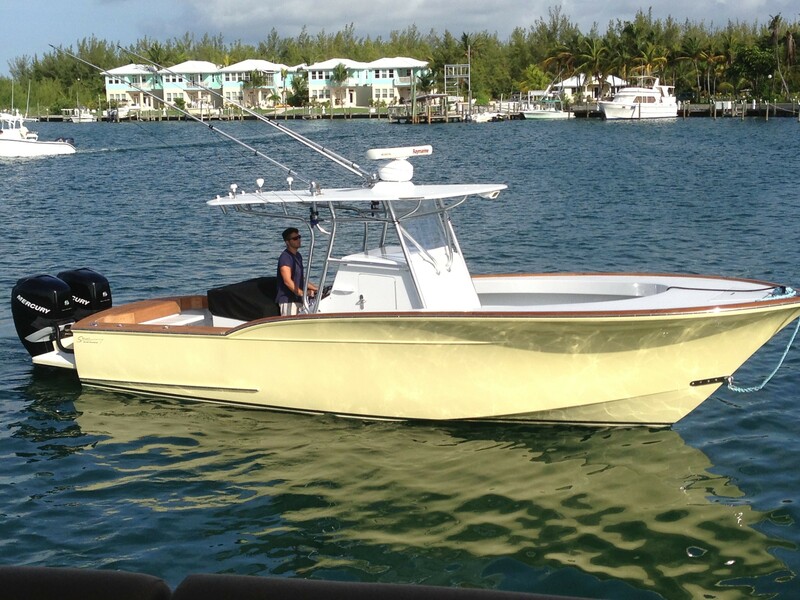 The aft deck is shaded by the top deck and offers built in seating and an alfresco dining option, further aft an extended transom is perfect for fishing enthusiasts. 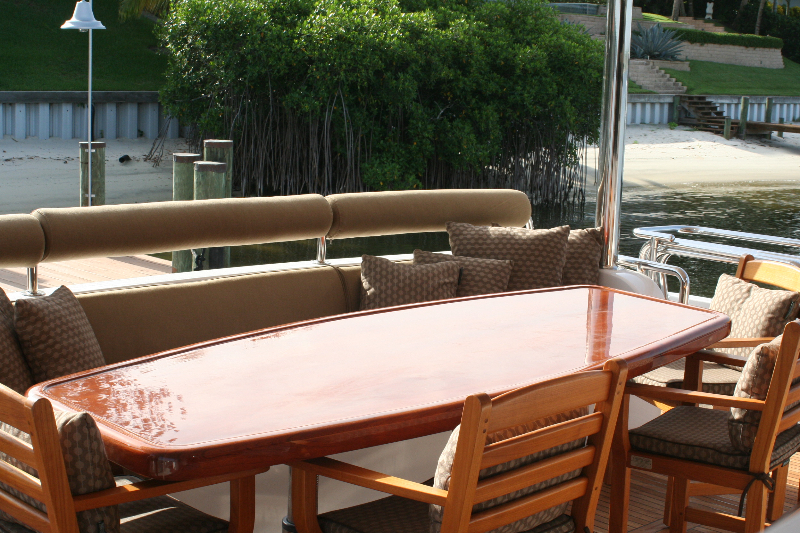 Guests wishing to make the most of the water toys on offer will find the full beam ample swim platform ideal. 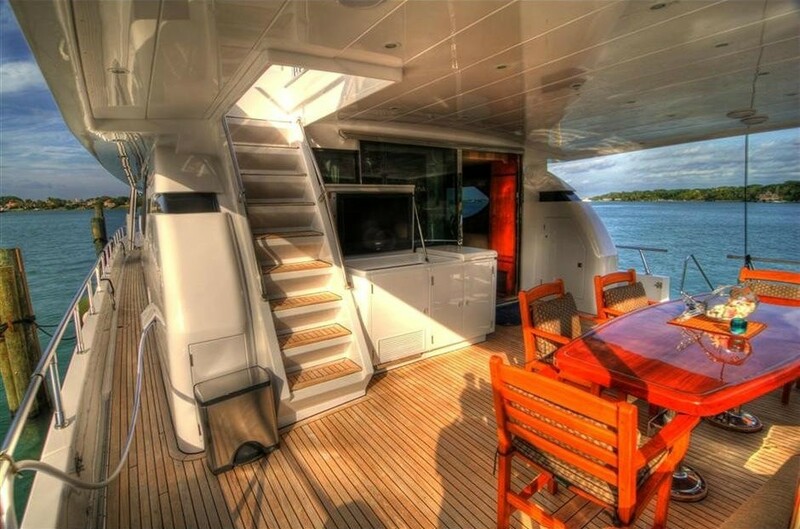 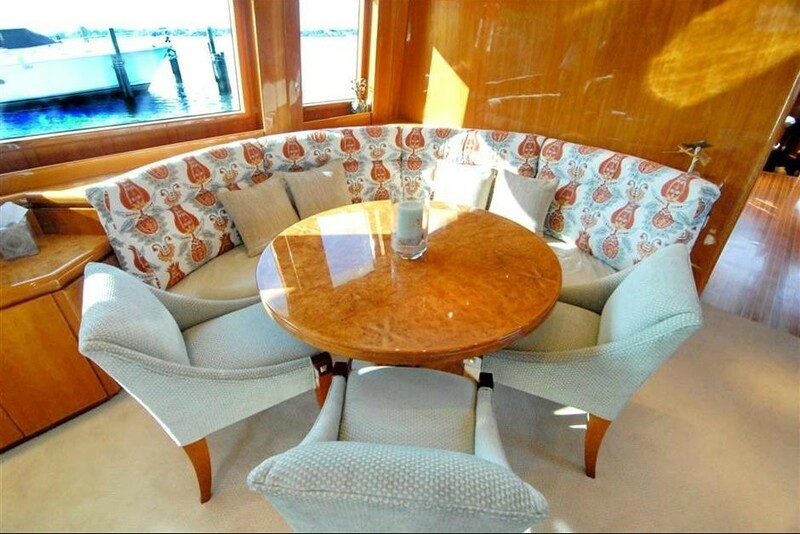 M/Y ACQUAVIVA has wrap around decks that lead forward to a further seating area and double sunpad. 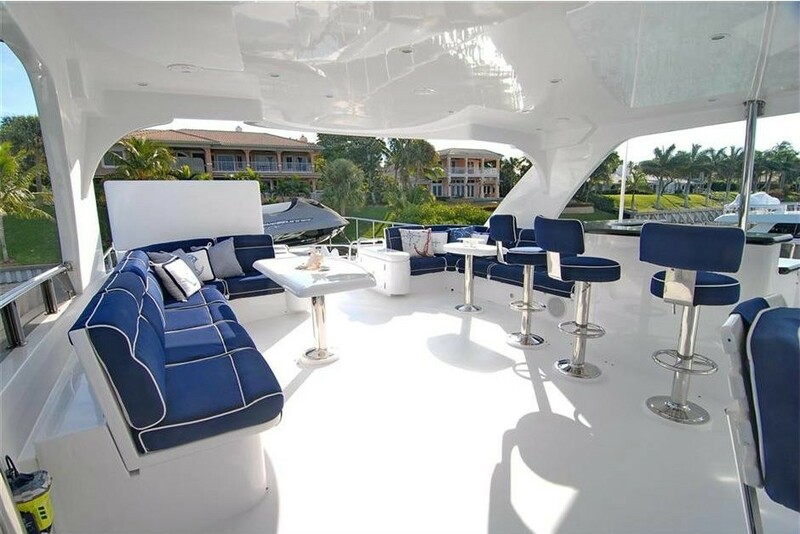 Charter yacht ACQUAVIVA boasts a large flybridge deck, complete with seating, 2 small tables and a complete wet bar, perfect for entertaining. 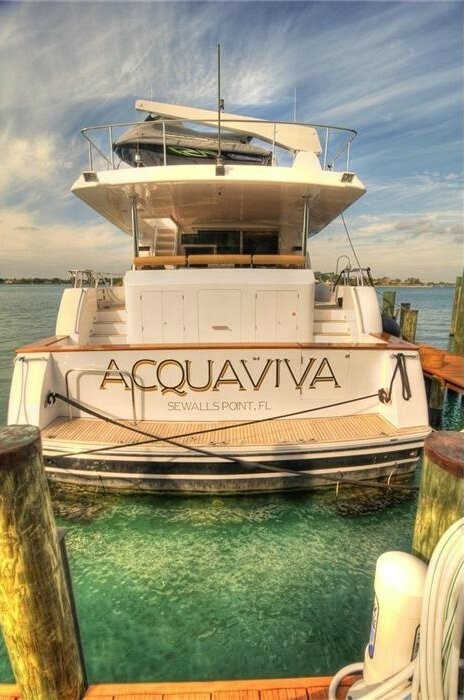 Yacht ACQUAVIVA has a beam of 6.09m (20ft) and a draft of 1.5m (5ft), the yacht is powered by twin Caterpillar engines with a cruising speed of 12 knots and maximum speeds of 20 knots. 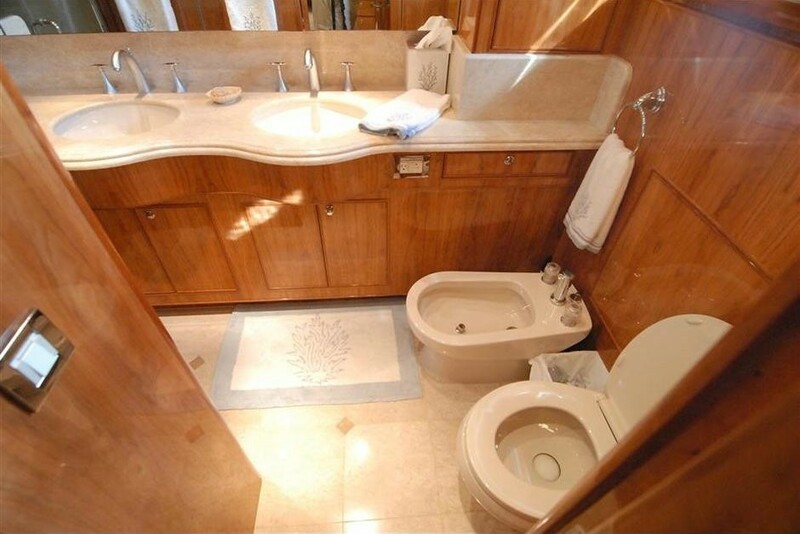 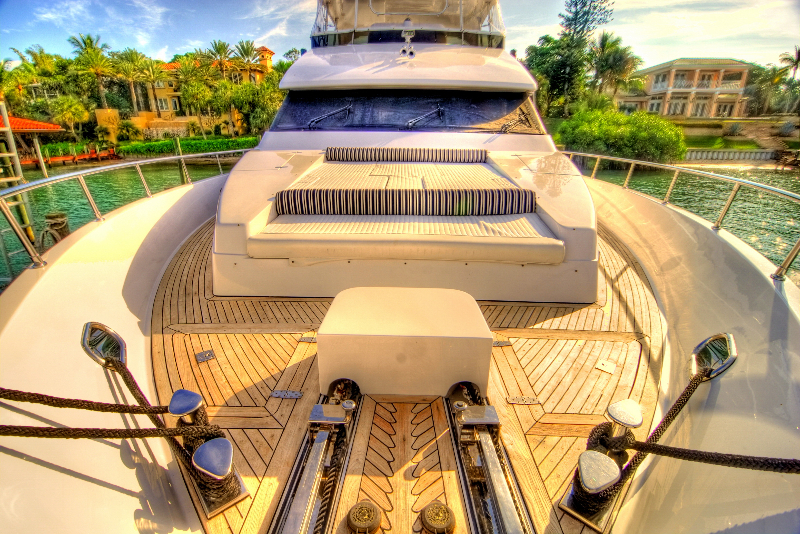 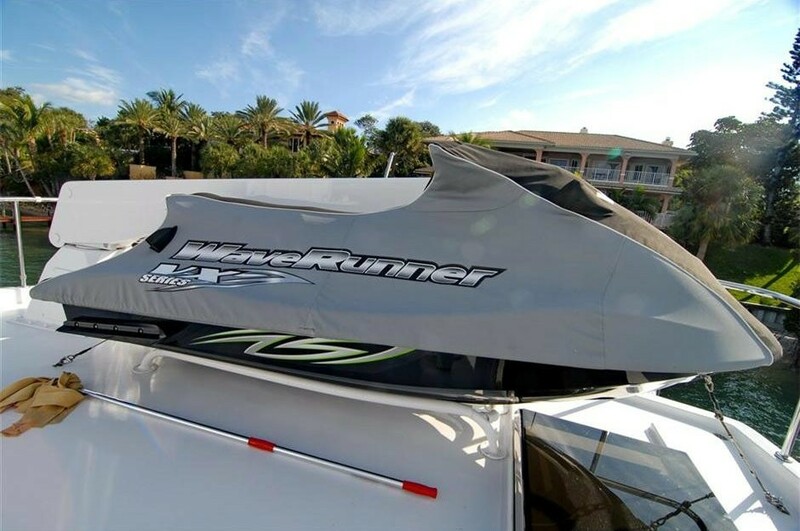 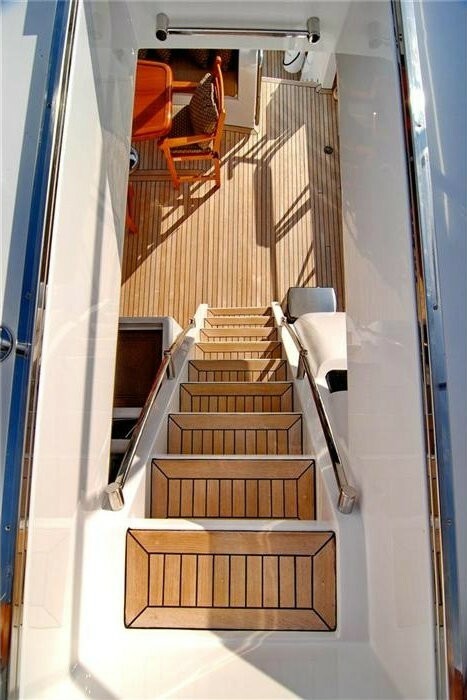 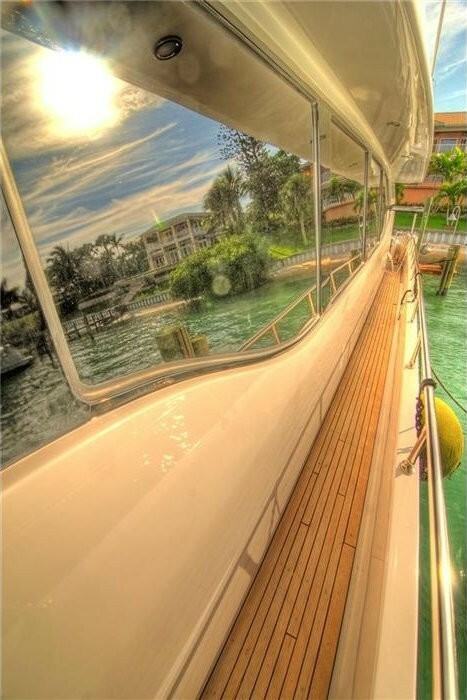 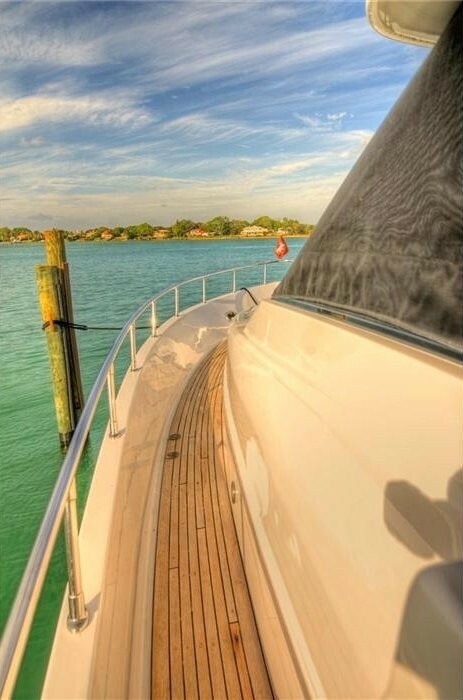 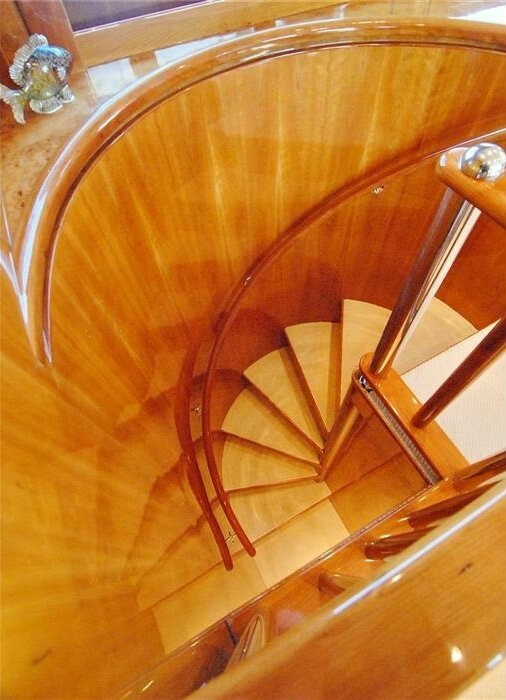 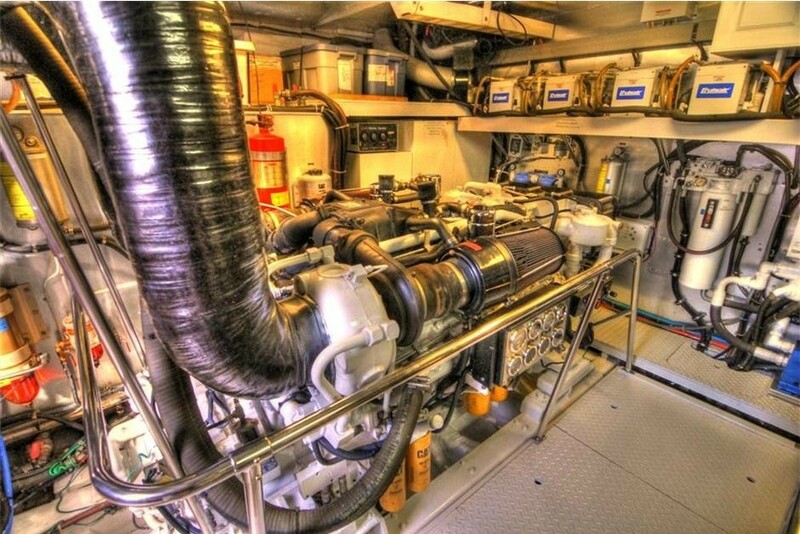 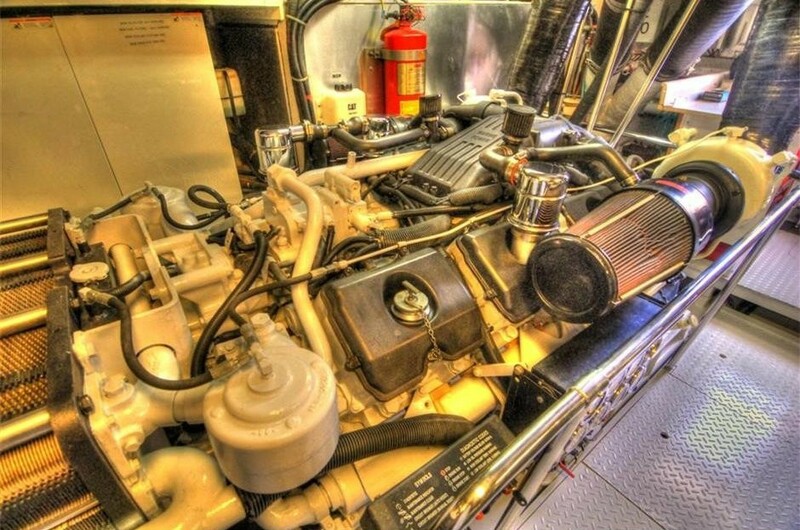 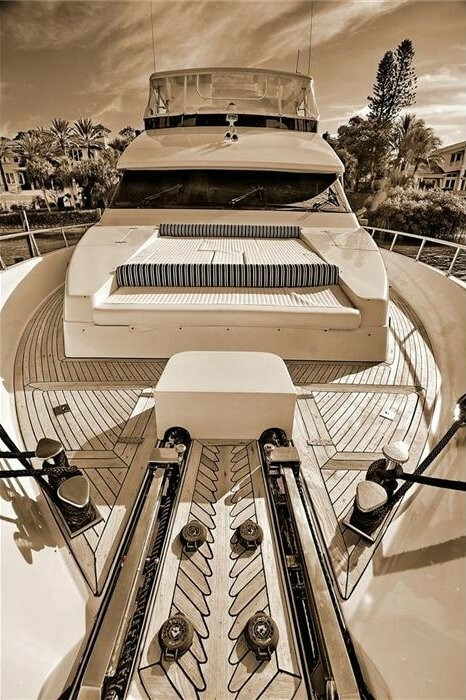 For ultimate comfort, the yacht boasts Naiad stabilizers. 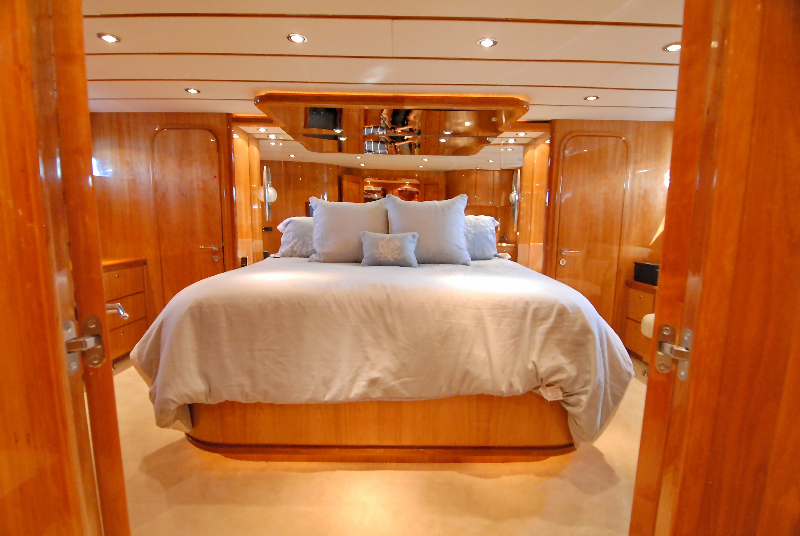 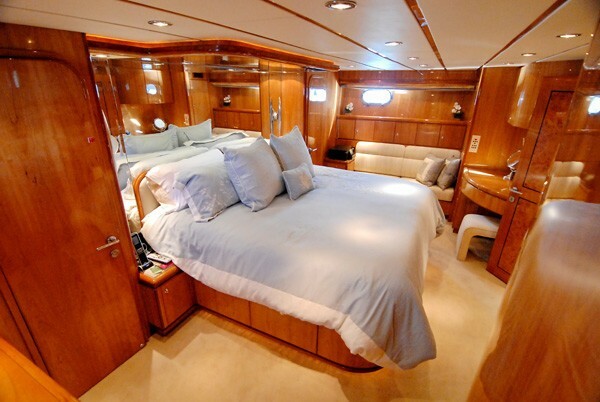 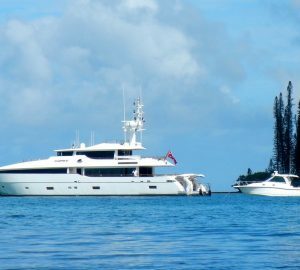 The Bahamas charter yacht ACQUAVIVA can accommodate up to 7 guests in 3 well-appointed en-suite cabins. 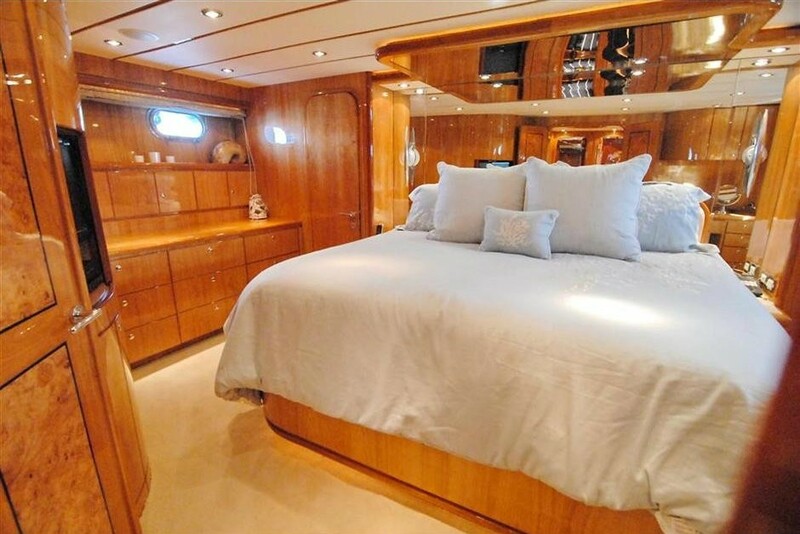 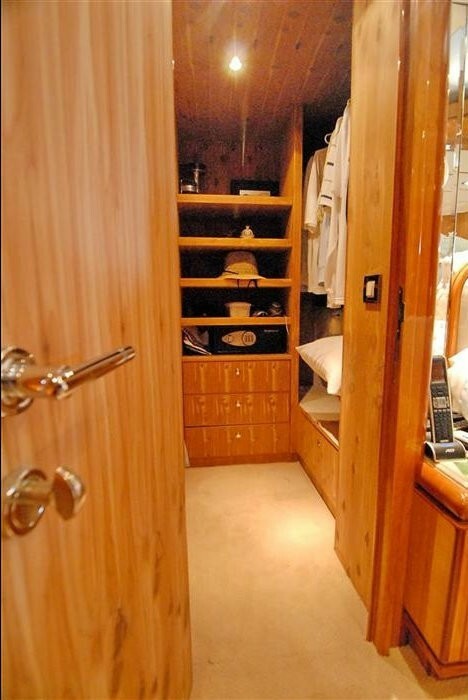 The master suite is amidships with a venter lined king size bed, vanity, sofa, walk in wardrobe and dual sink en-suite facilities. 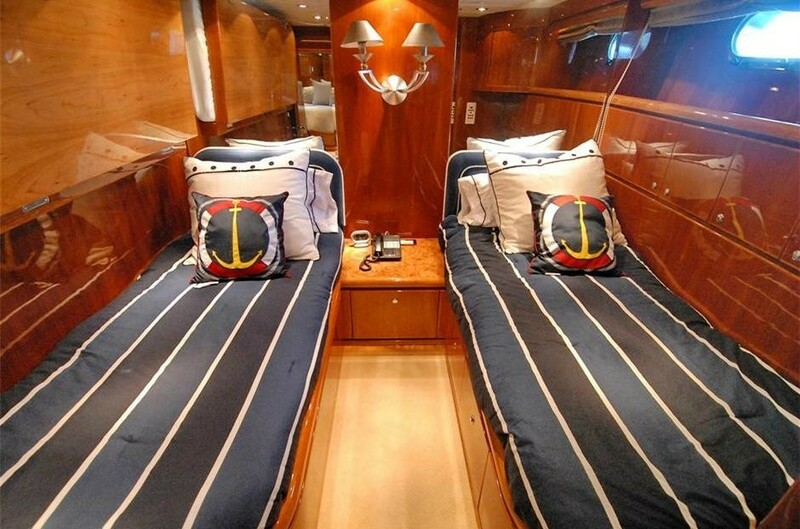 The VIP cabin is forward amidships on the port side offering a queen size bed, a further guest cabin is on the starboard side with 2 side by side single beds and an upper Pullman berth.